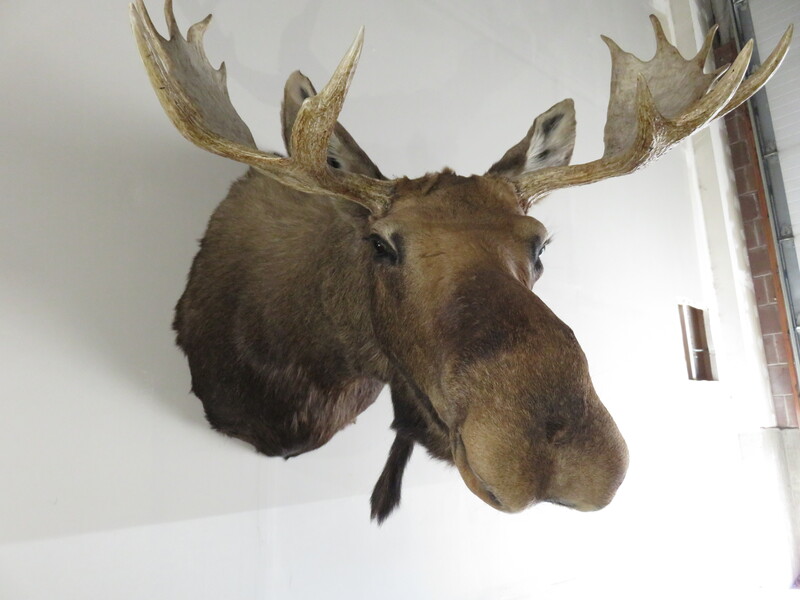 A great pose of a Bull Moose is what we have here. 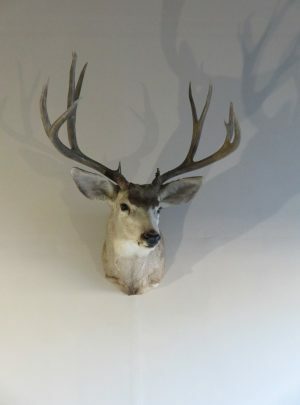 He is in “sneak” pose and facing his right looking into the room. 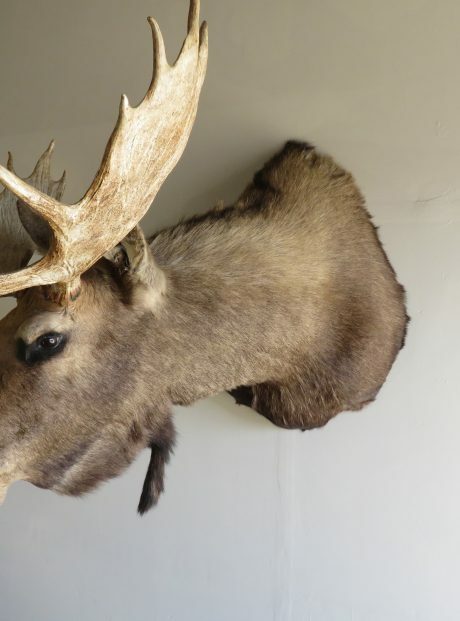 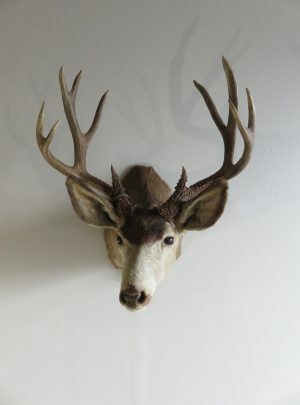 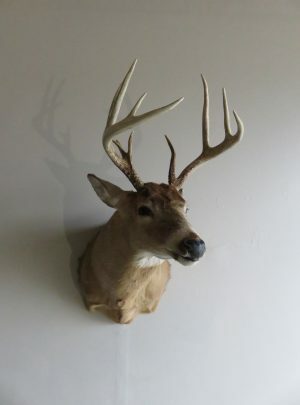 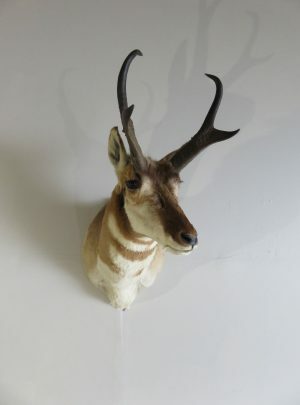 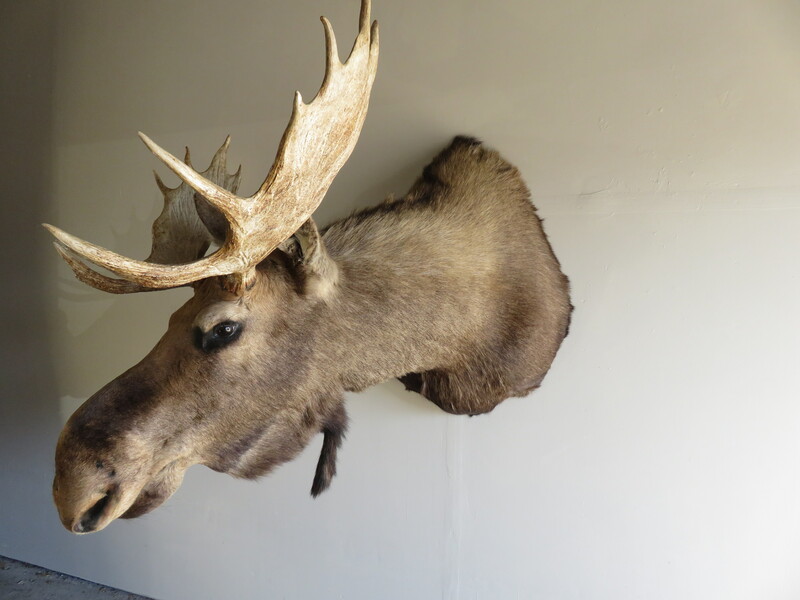 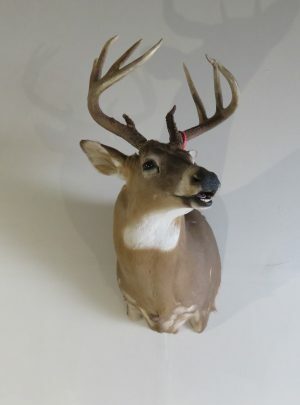 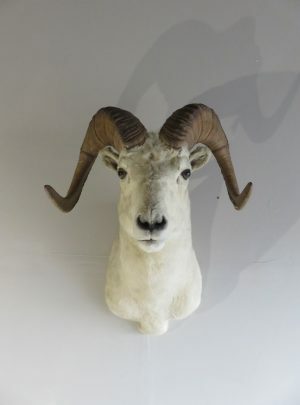 This is truly a massive mount and will make a great focal point for a room or a center piece to a collection of North American large game mounts. 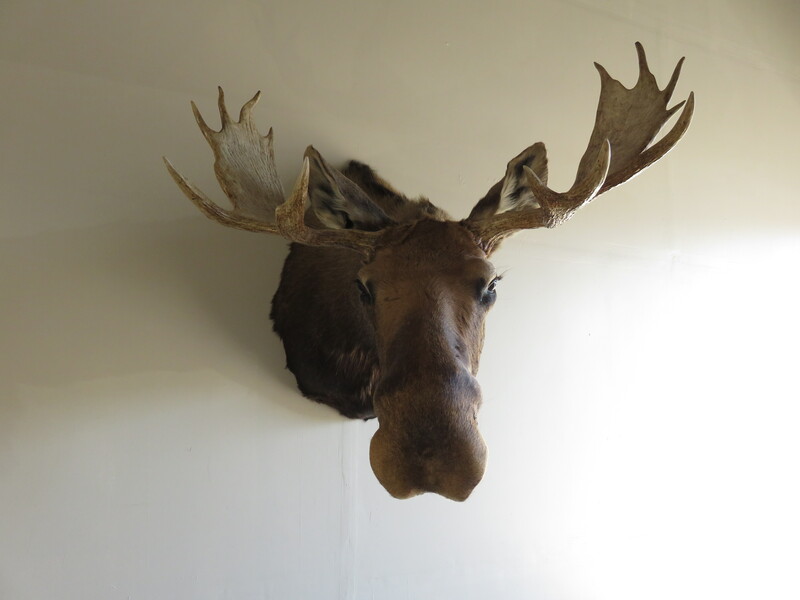 This guy takes some serious wall space and extends into the room 54 inches, so plan accordingly. 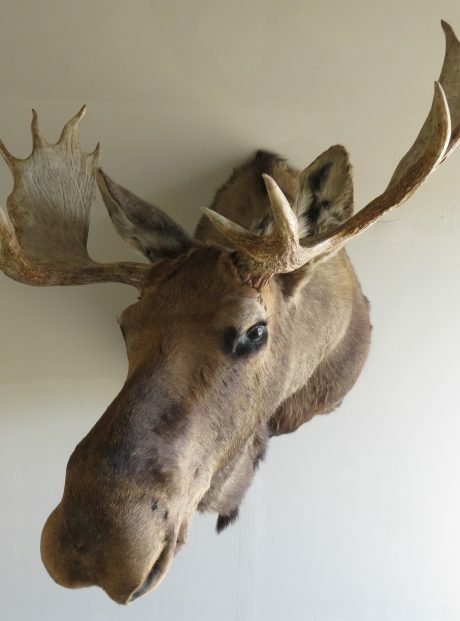 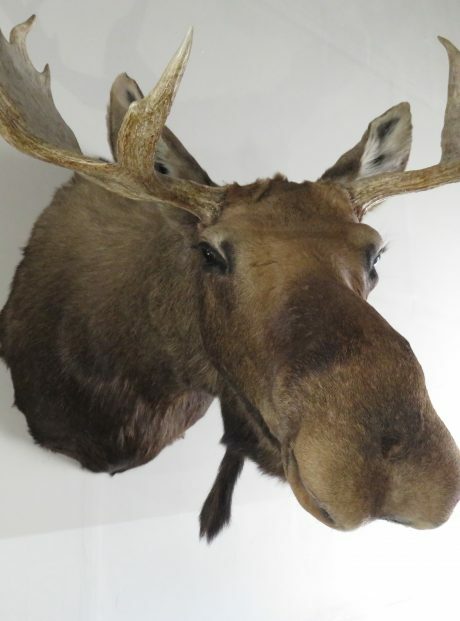 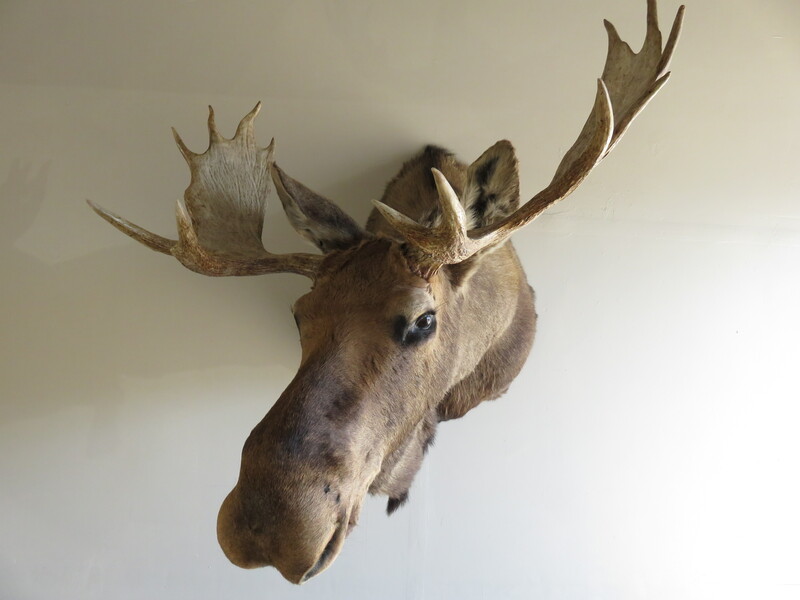 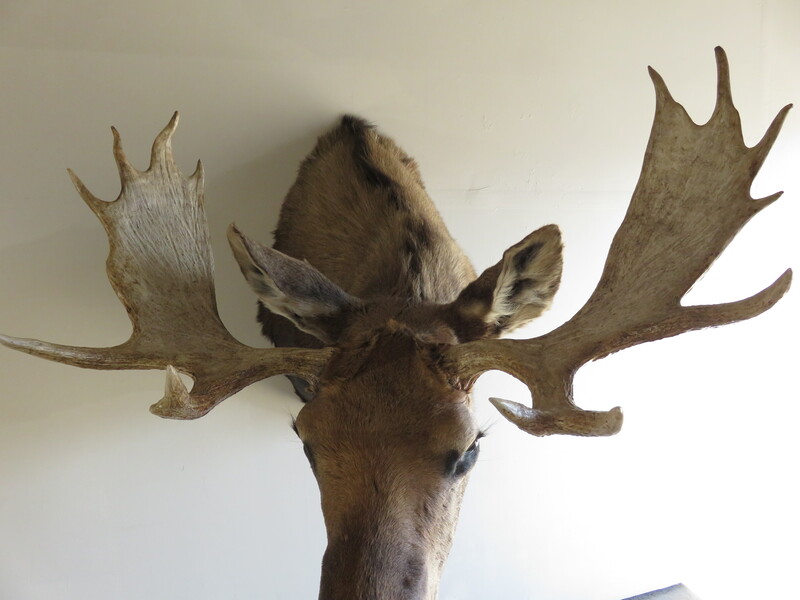 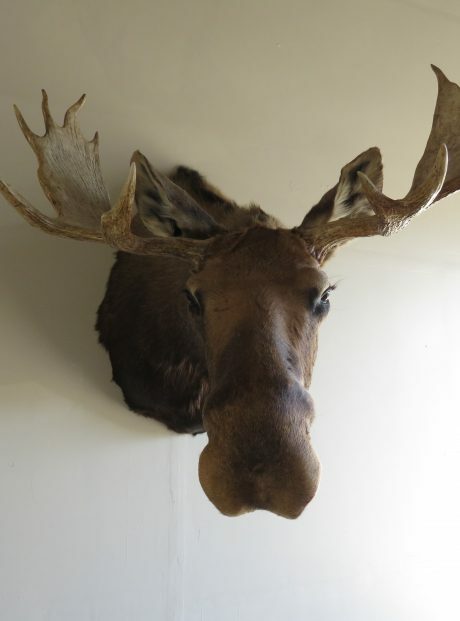 Aside from being a large mount with a great bell (the flap of hair that is in the location of an “Adam’s apple”), he’s got a nice rack for a Shiras moose from the lower 48. 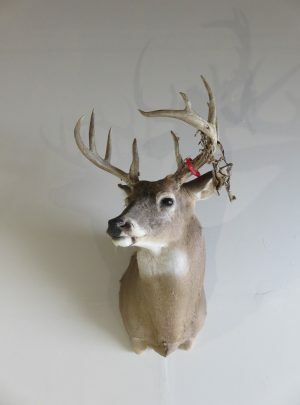 Overall appearance of this mount is amazing and we’ve awarded him with a rating of “Premier”. 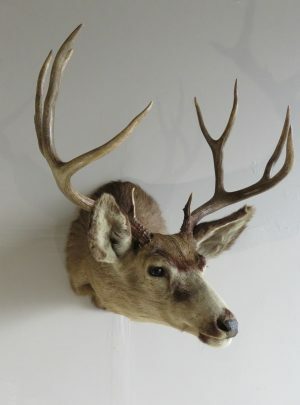 Overall mount dimensions are 54″ deep x 48″ width x 42″ high. 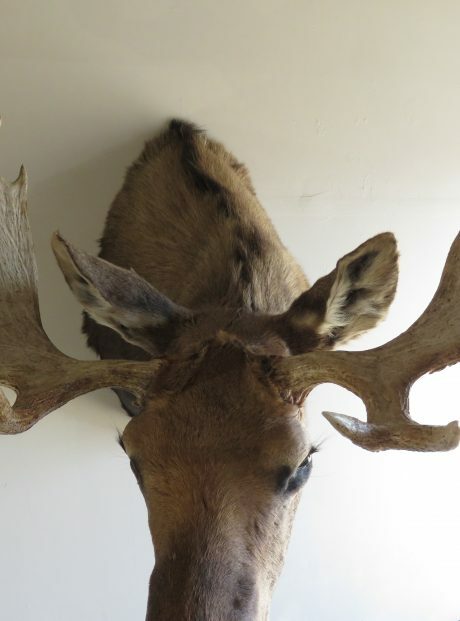 Antlers are 39″ wide and have a paddle height of 24″.